The Shira Route is practically identical to the Lemosho Route. In fact, Shira was the original route before Lemosho was created to improve the route start point. Whereas Lemosho Route starts at the Londorossi Gates, the Shira Route bypasses this and begins further north and higher up at the Shira Gate. On the first day hikers trek from Shira Gate to Simba Camp which is at a very similar altitude, allowing trekkers to acclimatise before joining the Lemosho Route on day two at Shira Camp 2. The high starting point is however a major negative for this route and some trekkers experience altitude sickness from day one as their bodies haven’t had enough time to acclimatise. 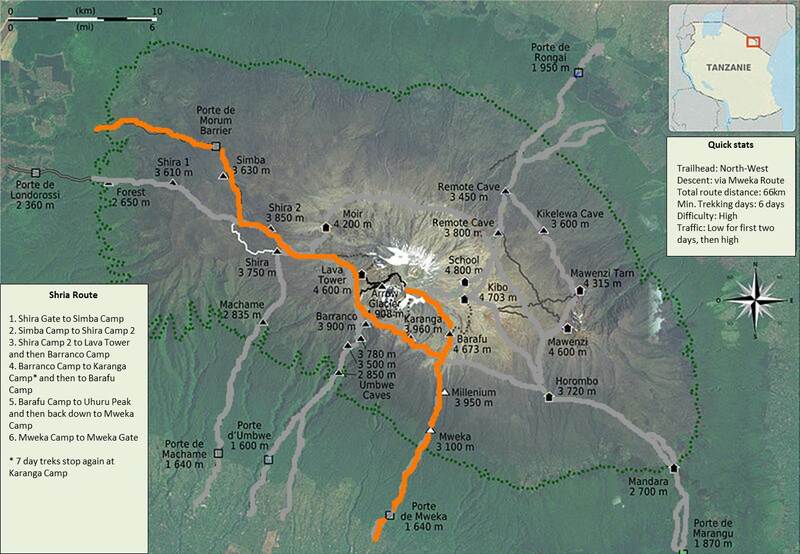 After Shira Camp 2 the route joins the Machame Route via Lava Tower, and then descends to the Barranco Camp via the Southern Circuit (see map below). 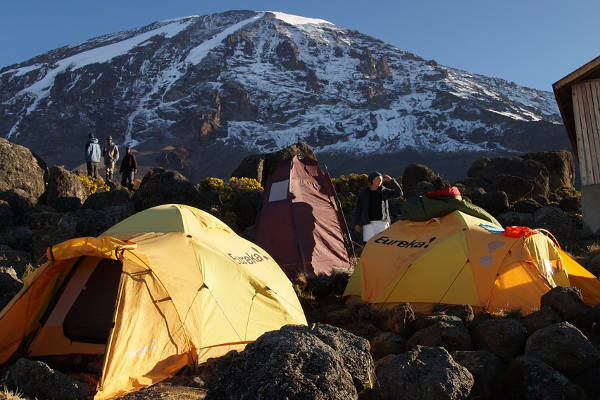 Like the Machame, Umbwe and Lemosho Route, ascent to Uhuru Peak is made via Barafu Camp and up the southern slopes of Kibo. The Shira Route can be completed in six, seven and eight days. This page does not provide a detailed day-by-day route itinerary as this can be read on the Lemosho Route page, which is identical apart from a different start point and first day trekking. Still have questions about the Shira Route. Leave a comment below and we will respond with an answer within 24 hours.